If you work in the fitness industry you’ll know that transformation isn’t just a word, it’s your life. Every day you work to build people to become greater and learn their strengths. The greatest part of any program though, is its culture. And there’s no fitness culture like Spartan. We’re setting out to transform the face of the fitness industry in Australia & NZ, and we want to give you the tools to be a part of it. Work as part of a community of passionate fitness industry professionals, and get amazing support and opportunities as part of our program which you can pass on to your clients and members. 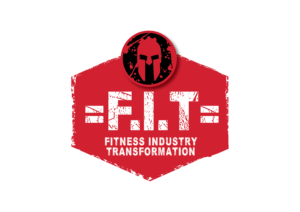 Join the biggest fitness movement in history and become part of our Fitness Industry Transformation Program. As a Spartan Australia & NZ F.I.T Partner you will receive all of the benefits below, completely free. We want to give you the tools to succeed and help our industry grow together! Feature on our website, be promoted through Spartan social media, get your own Spartan logos, and so much more! The three largest F.I.T teams from each event will receive a shout out in our post event EDM and Social Media posts, and will potentially feature in our post event highlight video. Free races for trainers & owners, large team discounts not available to the general public, sweet Spartan promo material + more! A ready to go 8 Week Transformation Challenge that you can roll out in your facility, with marketing tips, a full workout schedule + more! Gain access to the Spartan F.I.T 8 week transformation challenge. This program includes a ready to go 8 week challenge to roll out for your clients, a guide on how to market the challenge, and tips and tricks on how to train for Spartan no matter what kind of facility you have! Ever wanted to run a Spartan Hurricane Heat, or train rookies and meet new clients at our Workout Tours? Now you can! Become one of 6 trainers at our FREE workout tour events held before each race. Get the chance to train and interact with 100+ local Spartans and grow your client base for free. Hold an activation at the actual race! Bring along some equipment and warm up the crowd before the race, or set up a stall at a discounted rate and engage with some of the 5,000+ people at the event. You’ll have direct contact with our Spartan F.I.P liaison, so no info@ emails or generic numbers. Any questions, just call! Join a secret Facebook group dedicated to the Spartan Fitness Industry Program. This group will be updated regularly with special offers and deals, training content, and much more.